Doom feels more like a first person bullet hell than a shooting gallery. 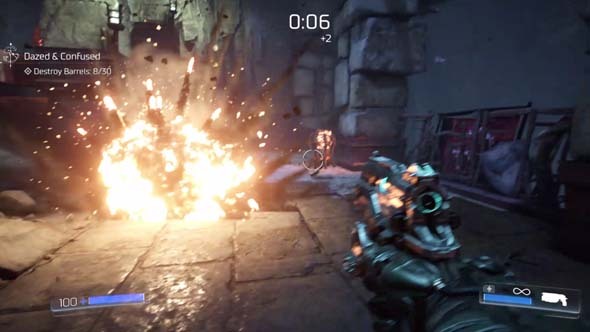 What separates Doom from a bullet hell game is the first person perspective: you can't see where all the projectiles are coming from. Because of this, you have to keep moving to avoid being hit, but you're still going to take shots to the back. This would feel extremely cheap if the glory kill system didn't provide you with a steady stream of health to keep you in the fight. Since the game is very generous about providing health from glory kills, these otherwise cheap shots feel more like the game pushing you to use the melee mechanics. It works surprisingly well! Honestly, I was amazed at how not-unfair this all felt! There's no chest-high walls for you to hide behind, and very few corridor-crawls. Most shootouts happen in arenas, which you enter by either dropping into them, or the door that you enter locks behind you. The game won't let you out till you defeat all the demons, and the action doesn't let up until you do defeat them. 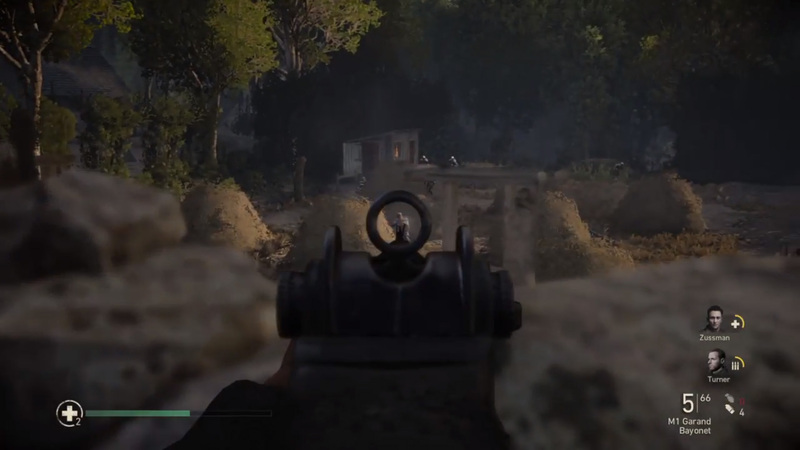 The retro design even includes health, armor, and ammo pick-ups laying about the arena. There's even glowing power-ups that you can pick up, which provide bonuses ranging from double damage to invulnerability to a berserk mode in which you run around punching the demons. I almost always had the misfortune of not finding these until after the encounter was over, so I rarely got to use them. so that you can farm them for health. You better get used to running around punching demons. There's a wide variety of demons for you to shoot and punch, and each behaves differently and can be defeated using different specific tactics. Instead of using this to create unique combinations of demons that are themed based on the level, and that provide novel challenges and require unique strategies to defeat -- like in Devil May Cry or Bloodborne -- pretty much every arena locks you in with the exact same enemies being thrown at you in waves that follow similar patterns of escalation. If there is a particular or unique challenge to an encounter, it usually comes in the form of some kind of environmental gimmick. Most early arenas are open and mostly flat. Some arenas require you to juggle fighting the demons with platform-jumping and tightrope-walking ("tight-rope" being employed to describe a 10-foot wide walkway because of how fast the character moves). Other arenas can be very vertical (sometimes also having jump pads), allowing you to get high above enemies to pounce on them for glory kills from above. Yet others may have narrow tunnels or crawl spaces that larger enemies can't follow you into, and which can be used for crowd-control (and to catch your breath if you need to). Strategy gets more thoughtful as you progress deeper in the game, and encounters become more complex. 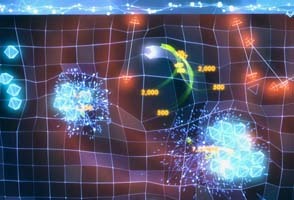 As you progress through the game, the arenas become more complicated and require more careful planning, while at the same time, certain setpiece arenas will introduce more difficult enemies earlier in the waves so that they overlap with each other and drain the ammo reserves of your more powerful guns earlier in the fight, creating the bulk of the game's escalating challenge. The fact that you are constantly being hit (usually from off-screen) means that you have to mentally keep track of where health items and potential cover are in the arena. In the harder encounters later in the game, you might also need to make sure that you don't annihilate all the easy enemies at the start, so that you can use them as an easy source of glory kills to recharge your health against the harder foes. You also want to carefully manage your ammo supply and your chainsaw and BFG fuel so that you can use them to turn the tide of a seemingly-hopeless battle. At the same time as all this, you need to utilize the environment to shield you from enemy attacks, or kite enemies into positions where you can take down groups of them with explosive barrels. 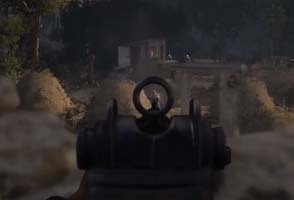 While the early half of the game is mostly just mindlessly running around shooting with seemingly-endless supplies of ammunition, these sorts of considerations actually introduce a lot more strategy into the fights, such that I actually started liking the game more as I got deeper into the campaign. It's too bad that the later levels didn't have more environmental traps for me to exploit, and that the corpses of demons don't remain on the battlefield so that you can survey your handy-work. The character occasionally refused to grab onto ledges, leading to cheap deaths during platforming. All the backing up and circle-strafing lead to occasional cheap deaths from getting stuck in corners or accidentally stepping off a ledge. 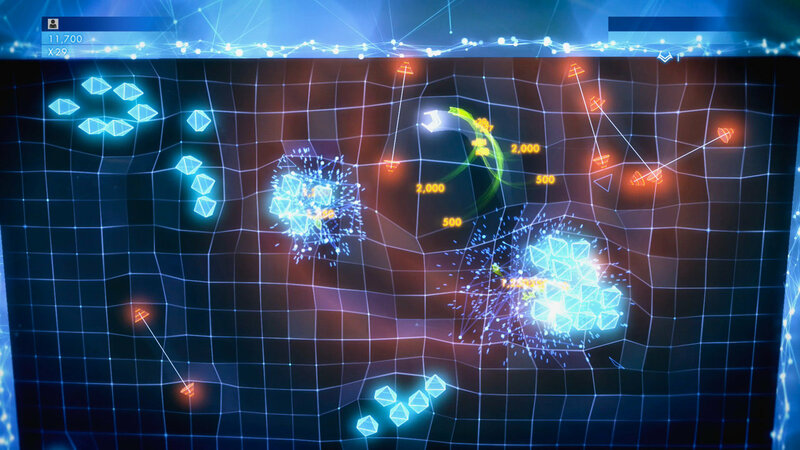 A lot of the levels also include some frustrating platforming. It mostly works well enough, but the speed of your movement can make it very easy to accidentally run off cliffs or overshoot your jumps. The character will also sometimes fail to grab onto ledges, leading to occasional cheap deaths during the platforming. It didn't happen often, but it did happen, and always in very inconvenient places with regard to checkpoints. For the most part, the levels always provided me with enough room to maneuver. I wasn't comfortable with default grenade controls. I also had some minor annoyances with the game's default controls. I don't play too many first person shooters on PC, so maybe I just have very outdated muscle memory. The default key mappings seemed counter-intuitive to me. 'Control' to throw a grenade? That's a key that I usually associate with crouching (assuming the 'C' key isn't being used). Why not 'G' for grenade? Or 'Q' or 'E', since there's no "peek" command? There were several instances early on in which I couldn't remember the button to throw a grenade, and a couple other instances in which I pressed 'Control' to crouch, only to accidentally throw a grenade at a wall and blow myself up. At this point, however, I'm kind of stretching to find problems. 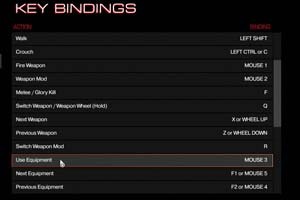 Being that this is a PC game, remapping the keys was a trivial matter. 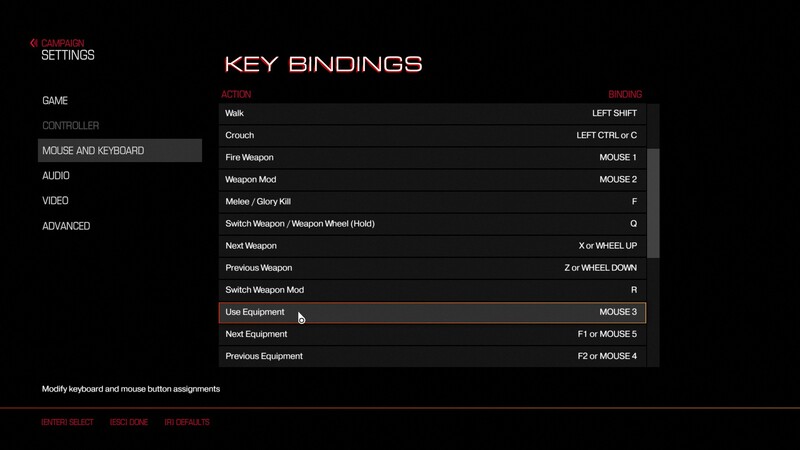 I eventually settled on using 'C' or 'Control' for crouch, and used my middle mouse button to use grenades. The old-school design philosophies also extends to in-game secrets. Secrets are very well hidden. In most games that I play, I usually expect to stumble upon most of the secrets and unlockables that are available in the first few levels because developers usually make them relatively easy to find with even the smallest amount of exploration or observation. I actually managed to miss every single explicit "secret" in the first couple of levels of Doom. I only finally stumbled into one in the Foundry level, which let me play a brief little retro mini-level modeled after a level from the original Doom. Thankfully, the regular levels aren't that annoyingly maze-like and repetitive -- or maybe they are, and all the secrets are hidden in the maze parts that I never found. This sort of trial-and-error challenge stuff is exactly the kind of thing that might really get under my skin in other games. But I'm willing to give it a pass here because they are -- after all -- secrets. They're short, and completely optional. The upgrades that they provide are nice bonuses, but I never felt that any of them were necessary to allow me to progress, so I didn't feel too much pressure to complete the challenges if I didn't feel like it. 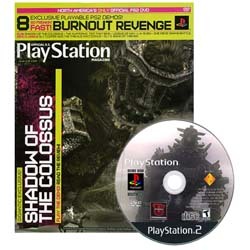 ... other secrets include some annoyingly-retro, trial-and-error challenge rooms. 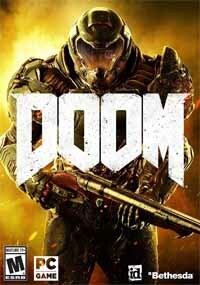 Doom's kinetic, free-flowing combat is a triumph of design and a refreshing departure from the whack-a-mole design of so many modern shooters but it's lackluster campaign and level design really lets it down. Doom's greatest triumph, however -- and perhaps its most significant contribution to video gaming as a medium -- is the presentation of its protagonist. Doom Guy isn't a complicated or robust character on the level with the likes of James Sunderland or Geralt of Rivia. He's not particularly well-developed, nor does he have a complicated or tragic backstory. What Doom Guy does have, however, is a remarkable amount of expressiveness in his body language and behavior. He's a completely silent and faceless protagonist who never speaks or laughs, or cries, or smiles, or scowls (at least, not that we, the players, can see). Yet he still has a noticeable and definable personality and a sense of agency in his quest. He says a lot without uttering a single word, and without the need for a single third-person cutscene to break the first-person immersion. Doom Guy says as much with his body language and behavior than many characters do with a page of dialogue. Doom Guy doesn't need to tell us, or the other characters in the game, how he feels about how Argent energy is being used, or about what's happening on Mars, or about the disembodied voice that gives him orders over the intercomm. He shows us with the not-so-subtle ways that interacts with the game world, and in the way that he chooses to follow through on his objectives. He may be getting told what to do, but he does it in his own way, and I get the feeling that if he didn't want to be ripping and tearing through Hellspawn, he wouldn't be doing it. He impatiently cracks his knuckles on long elevator rides. He yanks new weapons off the corpses that hold them, then inspects them with curiosity and/or glee, as if to communicate to the player "I want to try this out ASAP!" He rips computer monitors off their mounts when they don't show him what he wants to know. When it comes time to "carefully" deactivate a device, he just kicks the mechanism off. He probably has some anger issues. In terms of exploring player / character agency in video games, these little moments are pretty much polar opposites of Bioshock's infamous "Would you, kindly?" twist. Through Doom Guy, Id Software shows us that character expression in video games doesn't have to come from dialogue or cutscenes that take the player out of the moment. 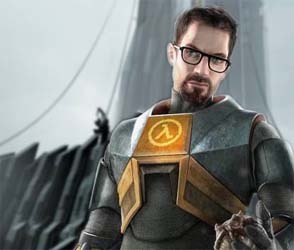 Nor does a first-person protagonist need to be a silent, passive, Gordon Freeman. There's plenty of room to work with in between. 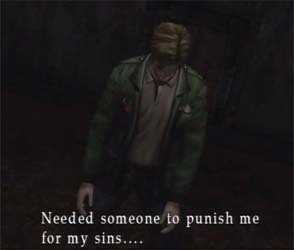 That silent passivity works fine in horror games, in which the character is supposed to be a stand-in for the player, as if the horrors on the screen are happening to the player rather than to some character whom we may or may not have sympathy for. 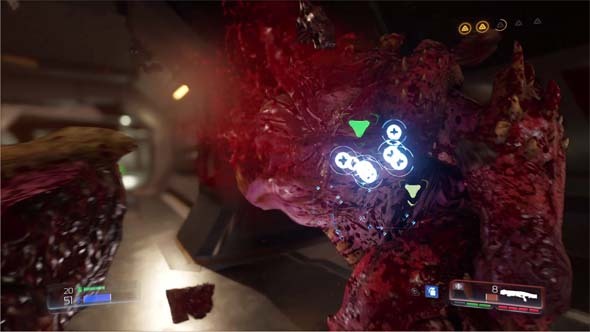 Doom may have demons from hell, but it isn't a horror game (ahem, Doom 3). Doom Guy isn't complex or nuanced like James Sunderland, but he's no silent self-insert avatar like Gordon Freeman. 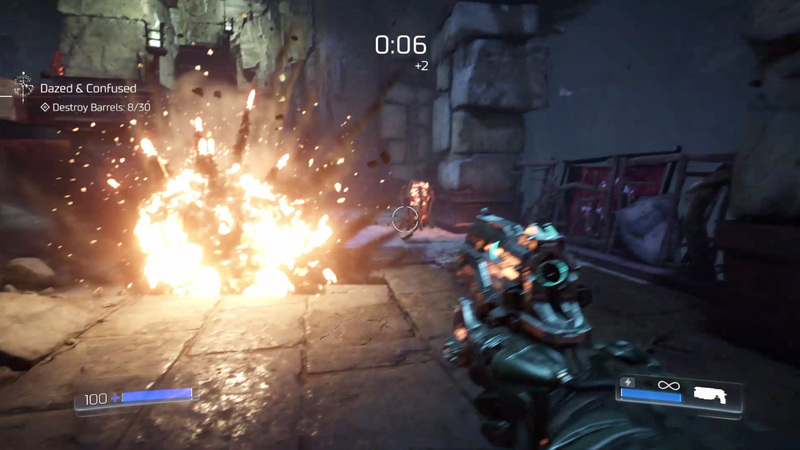 In a high-octane action game with as much attitude as Doom, the protagonist should present some of that attitude to help put the player in the mindset that the developers want us to be in. He certainly does. 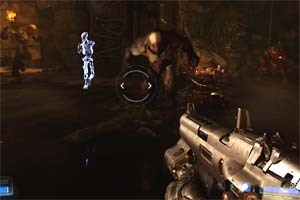 With even the smallest bit of investment from the player, Doom Guy's impatience, "no nonsense" attitude, and willingness to get his hands dirty should rub off on the player. Before long, you should find yourself forgetting about sniping demons from afar and tip-toeing into battle, and instead racing headlong into arenas to start shotgunning demons in the face. 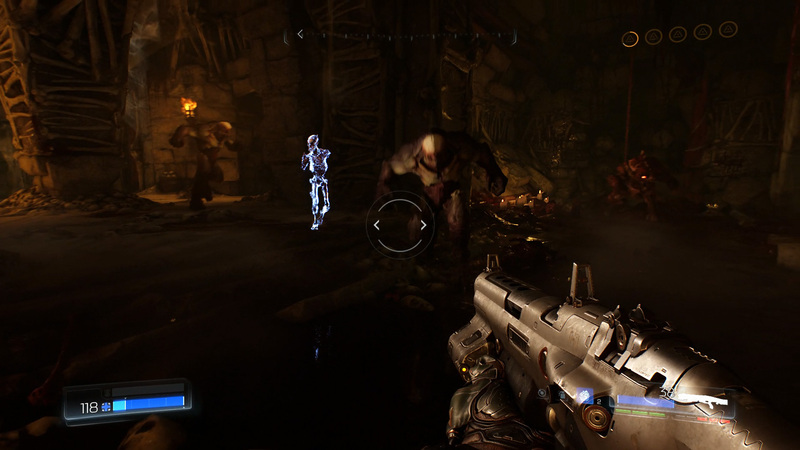 Doom Guy is you, if you were the 'roided-out, badass space marine. You give him a little bit of your personality, and (if all is working the way Id intended) he gives you a little bit of his. It's too bad Id pretty much drops the concept after the second chapter or so. A new breed of first person avatar? 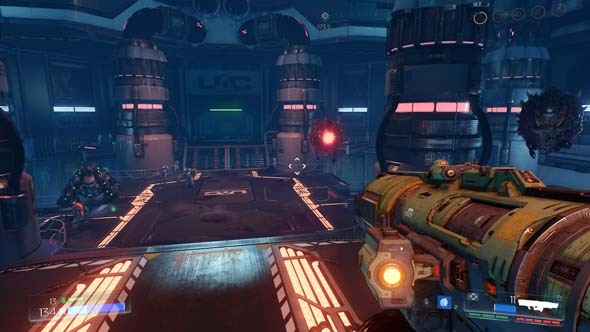 Despite its design successes, Doom (2016) isn't a watershed game. It's not doing much that other games haven't already done; it's just putting it together in a well-polished, well-presented package. 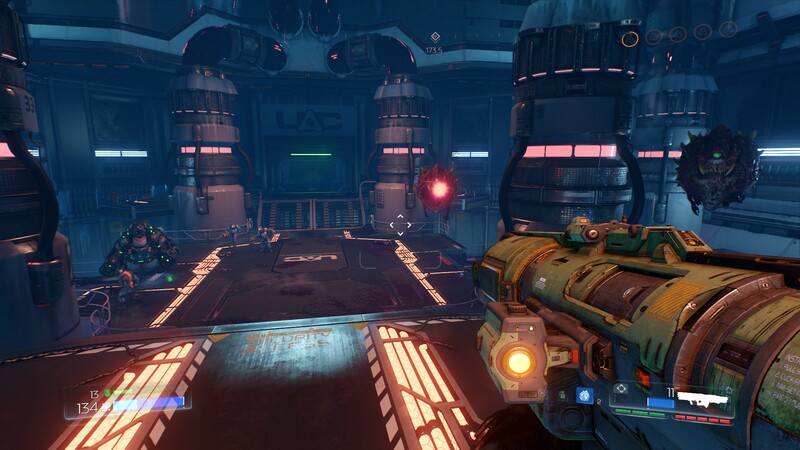 In much the same way that Resident Evil VII modernized 1990's survival horror, Doom (2016) modernizes 1990's run-and-gun shooters. 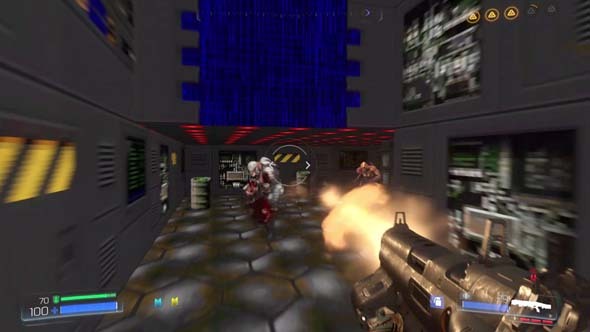 I don't expect Doom Guy to completely redefine first person shooter protagonists, nor should he necessarily be a template for all future first person shooters to follow. 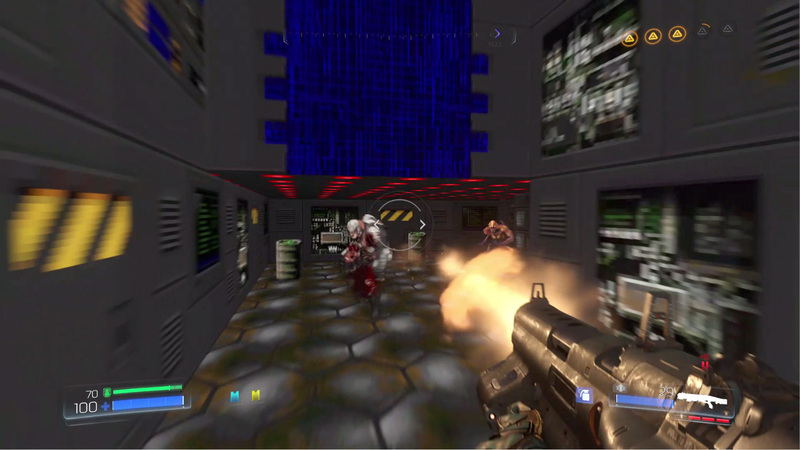 Instead, both Doom (2016) and its player character provide new tools for future game developers to optionally craft their games with. 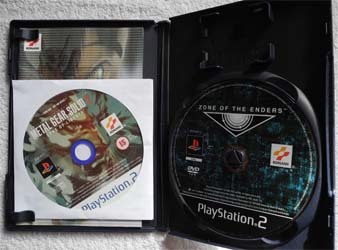 As for the game itself: it's pretty good. While I generally enjoyed my time with the campaign, I often found that a single mission (about an hour or an hour-and-a-half, depending on how much I died or got lost in the level's maze) was sufficient for me in any single play session. I'd usually "Save & Quit" whenever the "Mission Complete" screen popped up. That being said, I never got to a point where I just wanted the game to be over with, and I did keep coming back for more all the way up through the end of the campaign -- in fact, I liked it more as it went on. It never started to feel like a grind like with Call of Duty or even with the lackluster, goal-post-shifting middle segments of [the otherwise-excellent] God of War. I'm not really clamoring for the upcoming sequel if it ends up being more of the same, but I might get excited for it if it can provide some more interesting levels or mechanical challenges. I enjoyed Doom, but I'm very "meh" regarding its sequel announcement.